Scream and shout in the Carissa. 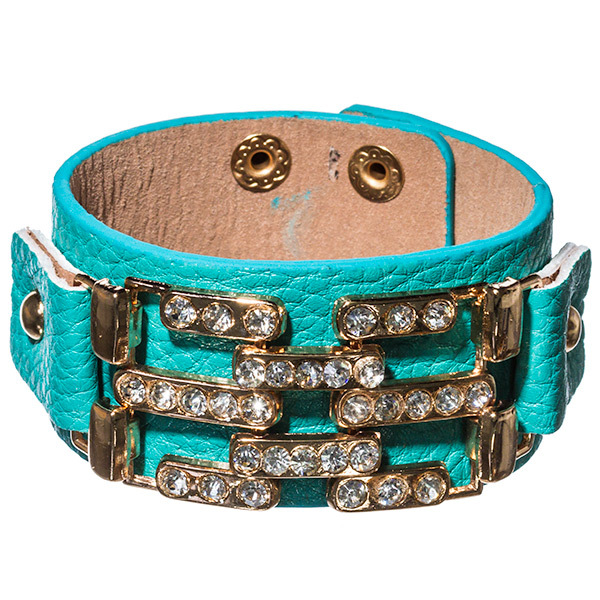 A leather bracelet in the most awesomely brilliant blue and featuring a gold-plated design encrusted in glistening clear rhinestones. Brighten up any look and bring some fun to your wardrobe. Buy this 'must have' piece of costume jewellery online today at lowest price guaranteed.